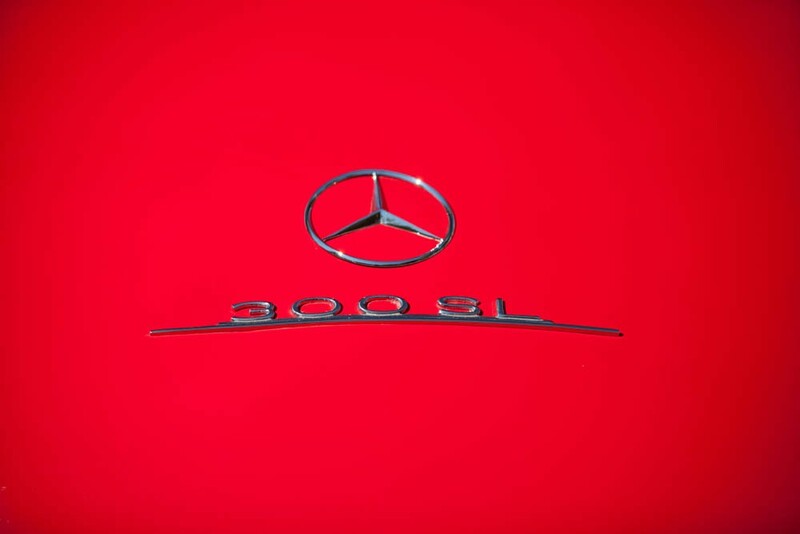 The 300SL is a legendary car for Mercedes-Benz. It was the first SL (stands for "sport light") badged car that Mercedes had made and it showed up with a bang. The 300SL was originally a race car that participated in races like the 24 Hours of Le Mans. The idea of converting the car for road use came from New York Mercedes distributor Max Hoffman. He figured Mercedes would not have a problem selling the "race car for the road" in America. 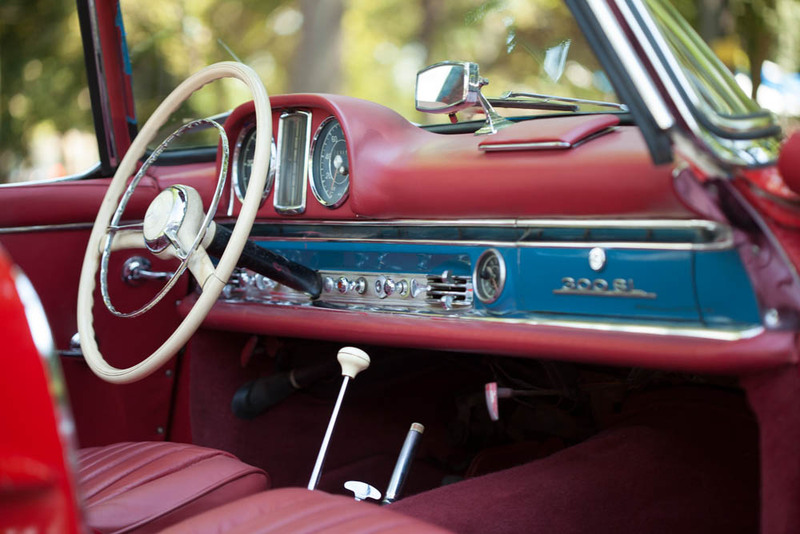 That's why, in 1954, Mercedes revealed the 300SL at the New York International Auto Show. It was a hit. 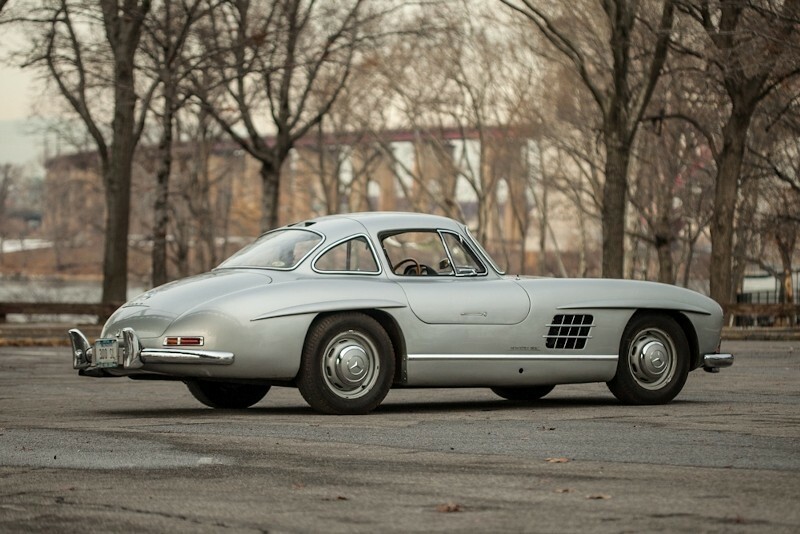 Over the course of its production, over 80% of 300SL sales went to America. 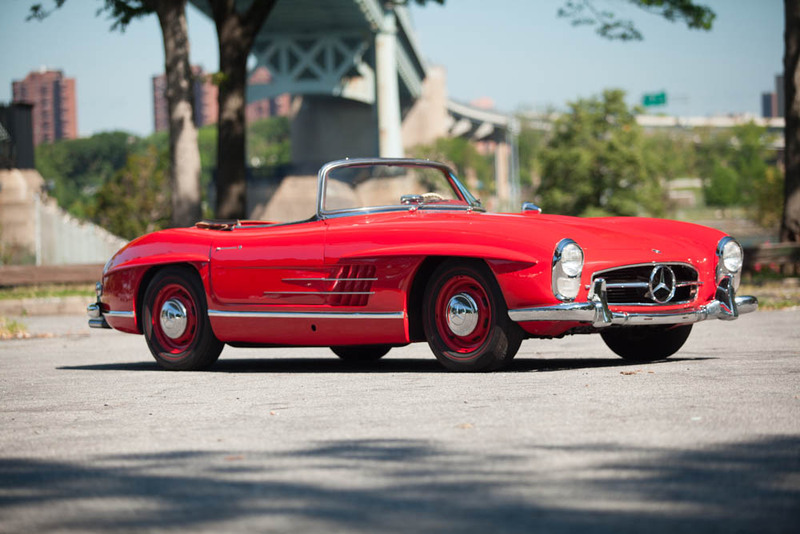 There were reasons the 300SL was such a hit. It had fantastic aerodynamic styling and raw power. The way the doors opened upward like a "gull wing" were iconic and set the standard for supercars even today. It had a race developed tubular chassis making it very light without sacrificing strength. And with a 3 liter straight six engine producing 222 HP the 300SL was able to reach speeds of over 160 mph, the fastest production car at the time. The 300SL was produced from 1955 to 1963. 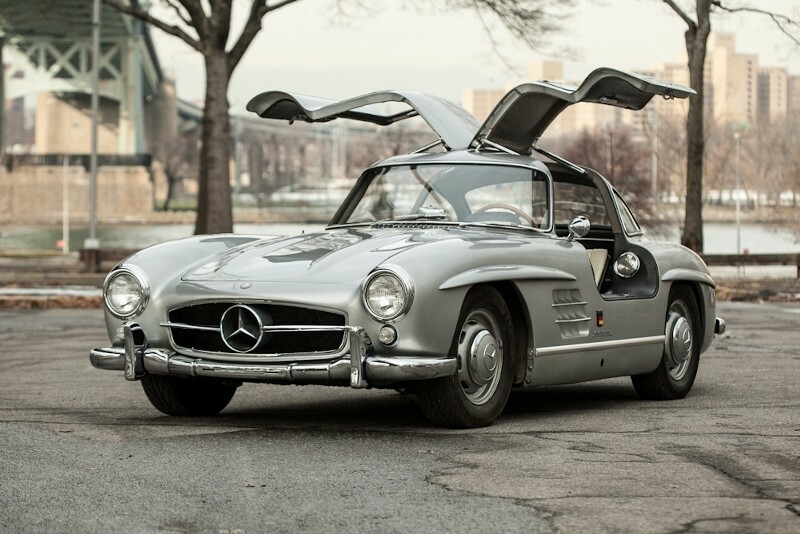 The iconic Gullwing coupe was made up until 1957 which was then replaced by the Roadster until 1963. We are always looking for classic 300SLs to buy. 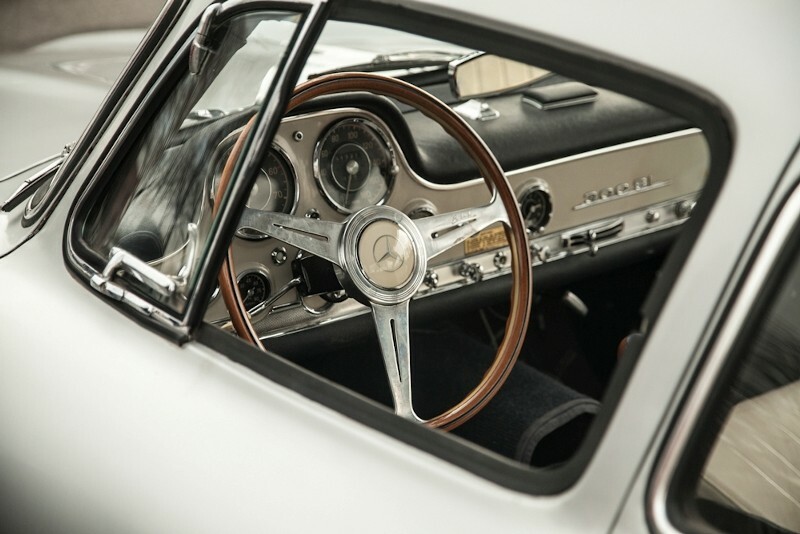 If you have a 300SL for sale we can help you determine its value. If you know someone who has an older or classic 300SL for sale, let us know! We pay finders fees! Whether it has been sitting in a barn or a field for a long time, or it's a garage queen, we buy in any condition. Location is never an issue. We buy cars from all over the United States! Peter Kumar has over 27 years of experience. 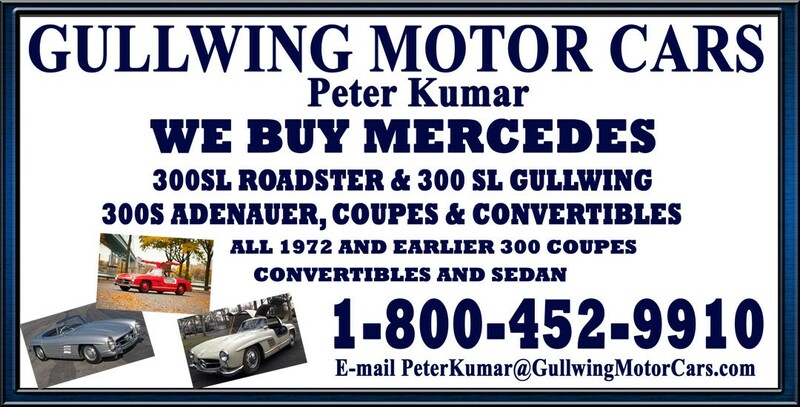 Peter and Gullwing Motor Cars are world renowned in the classic car buying industry. Please give us a call if you are considering selling your classic 300SL.